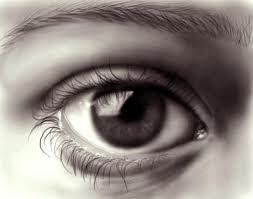 The eyes do more than see; they are a portal, an opening, a means by which light comes into us or is hindered. The health of our eyes determines what our body is filled with and not just one part or one half of our body but our whole body. This eye that is being spoken of is both the physical eye and metaphorically, the eyes of the mind, the “faculty of knowing.” Read again with these new meanings, our entire being can be impacted for good or ill based on the state of our mind, our thoughts, our way of thinking and by what we know. This is why it is so important for us as believers that our minds be renewed (Romans 12.2). This leads me to wonder about the soundness of the eyes of a Christian believer who still sees themselves according to the flesh, according to social standards, according to race? What are we filling our whole bodies with when we see race? How healthy is our body and how healthy is the Body of Christ when we see people not as brothers and sisters but as black/ white/ red/ yellow/ brown/ beige people? How sound are our teachings if our vision is being negatively impacted by what we think we know about persons according to our prejudices and stereotypes? And what have our eyes let in because of race?